The Lake County Community Foundation works to make all of Lake County, Illinois a place where equity, access and opportunity are available to all. Join us! Philanthropy begins at home. The Foundation makes giving simple and satisfying for individuals, families and organizations across Lake County. If your passion is to improve life in our community, giving to our unrestricted fund creates powerful philanthropy. Unrestricted funds are not bound to a particular charity or cause. The Foundation’s expert staff and its Board of Directors direct these resources wherever the need is greatest. 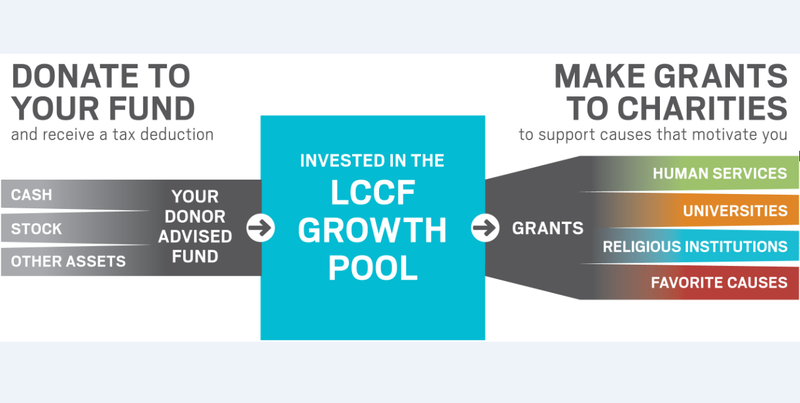 By investing your philanthropic dollars with the Foundation, you not only join a local legacy that began over 100 years ago with The Chicago Community Trust, but also tap into a knowledgeable network of over 750 community foundations around the nation. This heritage of deep community knowledge guides the Foundation in applying unrestricted funds toward strategic community investment with measurable and lasting impact. Together, we can improve the quality of life for all in Lake County. Join with other donors to pool your philanthropic resources. Make a donation online. Build your charitable portfolio around assets ranging from real estate and jewelry to stocks and securities. Establishing your own named charitable giving fund is simple and rewarding. The Foundation manages a family of funds ranging in size and shape—all of which support individuals, families and organizations in achieving their philanthropic goals. Whether you wish to create a one-stop repository for your annual giving or want to establish a strategic partnership to leverage your charitable legacy, we help grow your fund through sound investments, and work with you to distribute your charitable gifts to qualified nonprofit organizations that matter to you. Our expert team also researches nonprofit organizations, so that you can know that the charity you’re supporting is well-run, in compliance with IRS rules and regulations and that your investment will make an impact. Getting started is easy. Give us a call at 847-377-0520.